Flex your creativity muscles and keep attendees motivated. Your group exercise students understand that consistency is the key to reaching their goals, yet they struggle to show up on a regular basis. In addition to being a great teacher who leads effective classes, you may need to drum up creative strategies to get people in the door, ready to give their full effort. If you need a little kick-start to help you generate ideas, the following themes are a great place to begin. Yoga practitioners enjoy a more mindful approach to fitness. Why not bring this concept into the group fitness studio by teaching a fitness class that uses mind-body movements borrowed from yoga? Play subdued music, and keep the pace moderate. Offer minimal verbal cues, and select exercises that keep students upright so they can observe visual cues. For example, put together a sequence that includes the warrior pose and chair pose. Since these are similar to lunges and squats, participants will be familiar with them. Instruct students to flow from one movement to the next while focusing on their breathing. Also encourage them to pay close attention to the quality of their movements, and ask them to step away from the traditional “no pain, no gain” mentality. Students will appreciate the calm atmosphere as they build strength and endurance in a different way. Many fitness enthusiasts gravitate toward group exercise because they want to make social connections. A little friendly competition can be a fun way to encourage people to socialize and create a sense of camaraderie. You can easily offer a unique and intense workout where interactive teams complete drills—such as relay races and timed competitions—that focus on speed, agility and functional movement patterns. Divide the group into two or three teams of about eight to 10 participants each, and instruct them to work together to complete a series of exercises. Team members decide which participant will complete each of the assigned exercises. The team that finishes the series first wins! Sprinting drills, plyometric exercises, medicine ball passes and challenging body weight moves are great options. Think outside the box to keep your students guessing what they’ll do next! Working in pairs is another way to generate a playful, goal-oriented atmosphere. 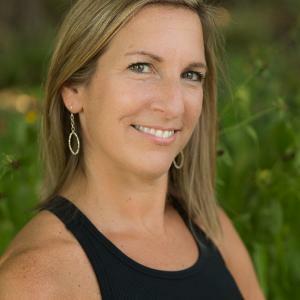 Stephanie Thielen, an instructor and fitness presenter from Omaha, Nebraska, uses creative partner exercises in her strength and conditioning classes. Another approach: Encourage partners to coach each other through tough conditioning moves. Try designing high-intensity interval training drills in which one student works while the other recovers. For example, in an exercise such as a plyometric lunge, partner A executes the move for 30 seconds, while partner B provides encouragement and motivational cues; then they switch roles. Each person does the exercise four times. Allow for 1 minute of rest, and then repeat the entire cycle with a different move. Participants will love the challenge and intensity, and they’ll appreciate using their recovery time to assist their partner. Another idea: Schirtz teaches classes that focus on a single recording artist, such as Pitbull. She also invites students to participate in something she calls “glow classes.” She explains, “Everyone wears white and neon attire. We kick on the black light and have a blast!” Schirtz adds that themed classes are always well attended, and when they’re properly promoted and executed, they boost numbers and bring in new members. Sports drills also work well in the group fitness setting. Set up stations around the room, and have students travel from one to the next in small groups. Each station offers an exercise inspired by various sports. Kickboxing drills, soccer kicks and speed skater movements are fun options for aerobic training, while golf- or baseball-inspired rotational exercises with tubing are effective ways to train the core. Movements from track and field, like bounding (long-jump) drills, give students the chance to train in a high-intensity zone. The possibilities are endless!